Yes, you can expect another review on some tinted lip balms. And yes, I really am a lip junkie. 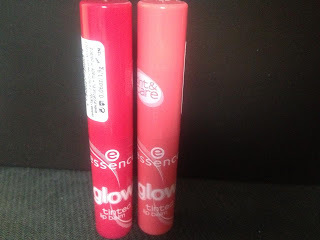 I bought myself 2 tinted lip balms by the drugstore brand Essence. 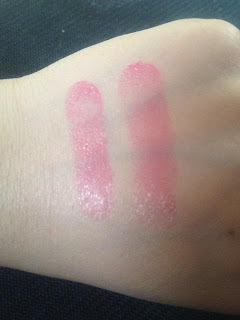 When I swatched these, I was quite surprised by the pigmentation. If you know me, you know I like natural looks and even though I choose pigmented lip balms I still prefer them to be quite natural looking and no too overpowering. The first thing that I noticed when I opened it was the scent. It has a sweet candy scent to it, which doesn't bother me because I have a sweet tooth (not that I'll be eating it, but at least I don't mind it). 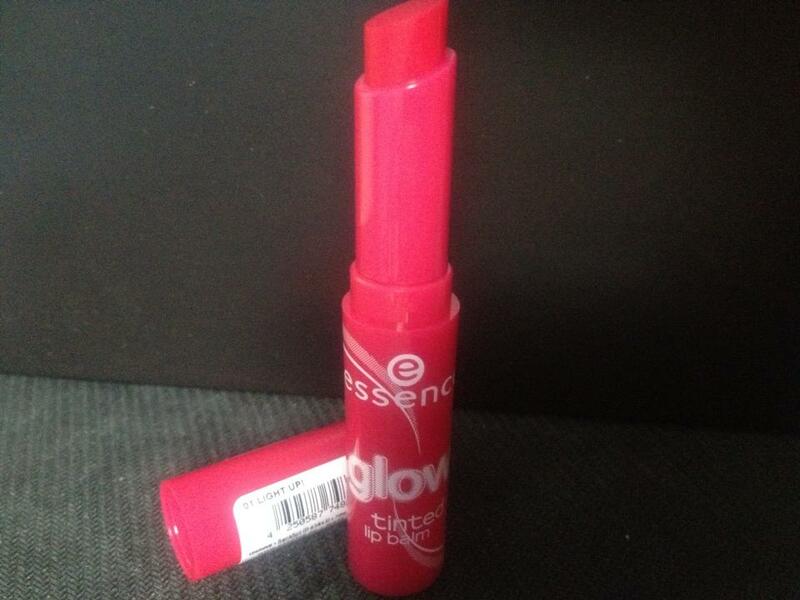 Essence Glow tinted lip balm: 01 Light Up! 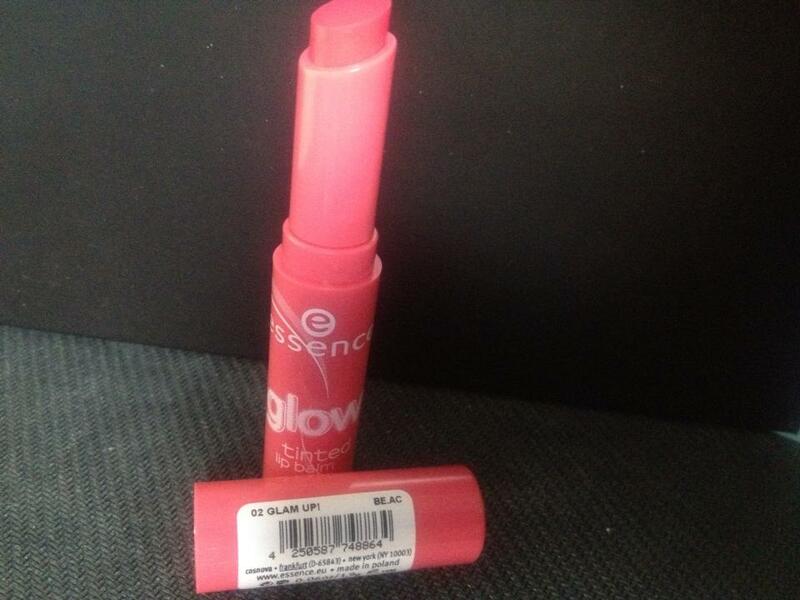 Essence Glow tinted lip balm: 02 Glam Up! They're both more hydrating than I thought they would be and the color pigmentation is greater than I expected. The creamy texture to it makes is easy to glide on the lips. As for longevity, they last about 3 to 4 hours. It will come off when you drank or ate something. So don't expect any magic to happen. left: 01 Light Up! - right: 02 Glam Up! Light Up! is a red tinted lip balm, although you shouldn't expect a deep red from it. remember they're lip balms and apply sheer on the lips. Glam Up! is a coral lip balm which is a very subtle pretty color on the lips. It gives you the natural look. If you look closely you'll notice a subtle difference, but from a distant Light Up! looks almost the same as Glam Up! Whenever buying drugstore products, I try to withhold my excitement until I get to swatch them. I have to say that some of the drugstore brands really have stepped up their game. I've always seen Catrice and Essence together. Both brands have significantly grown packaging and quality wise. Although you only pay a few euros as a matter of speaking, some products are actually very good. It's quite obvious if you look at the price ranging: you just can't expect the best of the best from a drugstore brand. I think Catrice and Essence are great brands for those who just got into make up and are looking for very affordable make up items.